Eye surgeon Skobelkin and colleagues. 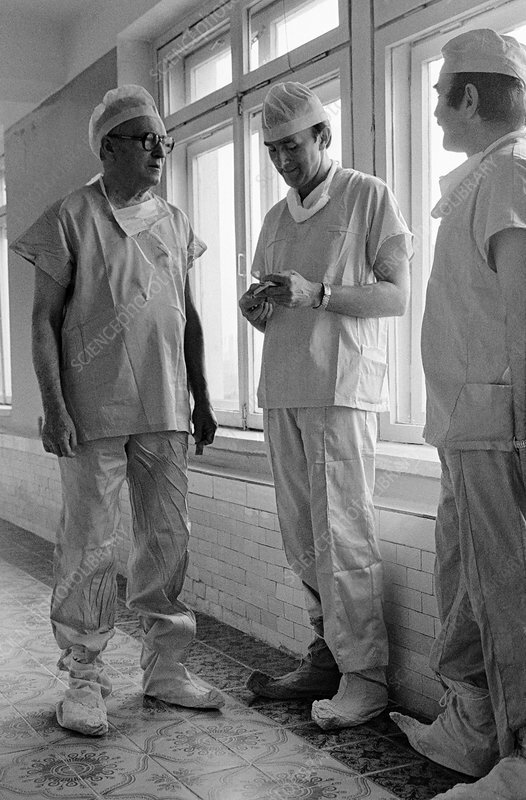 Soviet eye surgeon Oleg Ksenofontovich Skobelkin (1923-1998, left) with two colleagues before an operation. Skobelkin was director of the Laser Surgery Clinic of the Research Institute in Moscow, Russia. Photographed in 1988.